Look, no matter how many thought leaders opine that it’s a vanity metric, we all care about increasing our Twitter followers. A respectable follower ratio is fundamental to your brand’s credibility and authority—not to mention organic reach on Twitter’s timeline. Basically, your entire Twitter marketing strategy exists in a symbiotic chokehold with this number. Which is why everyone wants fast shortcuts to get more Twitter followers. But despite the tantalizing whispers of cash-for-follower glory, there’s no shirking the elbow grease. We advocate building up your presence the old-fashioned way: by providing value. Of course, there are some fast wins, too. 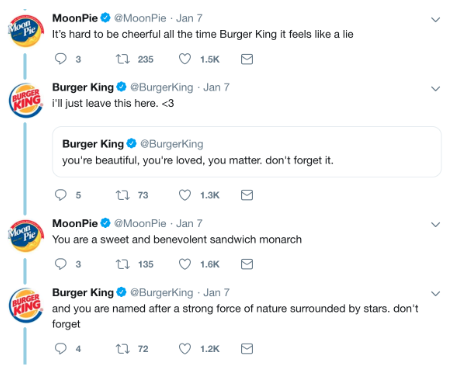 Here, we’ve compiled a checklist—from easiest to most complex—of every minor and major move that will help you on the path to the high-quality Twitter audience your brand deserves. Twitter bios are indexed by search engines, so this may well be people’s first point of contact with you. Here are some examples of best-in-class Twitter bios to get you on the right path. Literally. If your brand is small enough (i.e., less than a handful of employees), use a human face in your profile picture. If you’re too large for that, and are using a logo, ensure your content calendar includes humanizing images. Think of these folks as characters in your story: founder, staff, star social media managers, et cetera. Encourage your fans on other platforms to follow you on Twitter. Interlink all your social profiles, in fact, so that your audience can pick and choose according to their own preferred channel. Even better: your employees’ email signatures. Really, all outgoing communications—newsletters, whitepapers, business cards, take-out menus—should include mention of your Twitter profile. It’s free and fresh content, and it has the added benefit of being good for your SEO strategy. Take it one step further and use these buttons so that your audience can seamlessly Tweet your content, follow your account, or @ you with their questions and feedback. You link to your blog posts from Twitter, so turn it around. Make it effortless for people who like your content to retweet you. Researchers in Korea found that half of unfollows happen when an account tweets too frequently in a short time. (What’s responsible for the other half? Boring content—no kidding.) Even if the tweets are amazing, flooding your followers’ timelines is going to be annoying to the vast majority of them. Twitter is the platform that can handle the highest quantity of posts in a day without alienating people. 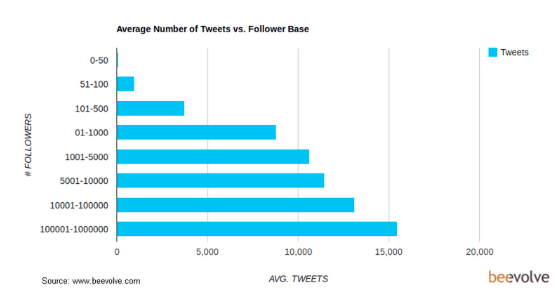 And the data says that the more tweets an account has, the more followers they’re likely to have. Hot tip: use a Twitter scheduler to plan ahead and supply your pipeline with high-quality, well-timed content. Adding your own comment to the tweet you’re retweeting (a.k.a. a modified tweet or Quote Tweet) shows people how your brand’s expertise adds value to their feed. It’s not always necessary, but it can be a great opportunity. My brother does this all the time. (He calls it “going viral.”) But seriously, as long as this tactic is not abused (i.e., retweet relevant evergreen content from last month, not two hours ago), it is a great way to get more mileage out of your best work. Twitter now prohibits behavior that seeks to manipulate or falsely inflate the prominence of certain accounts or opinions. Even worse, your audience can tell. According to the 2018 Edelman Trust Barometer, authenticity is more important than ever for brands. 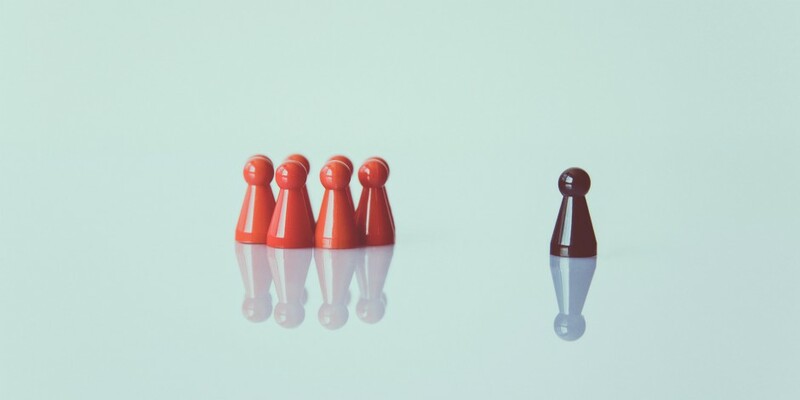 Damage to your reputation could have a lasting impact that goes beyond your follower count and straight to your bottom line. Hashtags can be difficult to get right, but they pay off by expanding your reach beyond your follower count. Refresh yourself on fundamental hashtag best practices. Supporting others shows you care! And if you’re real about it, (i.e., you give specific and useful recommendations and praise) you could earn a few #FF mentions yourself. But not randomly or according to an automated scheme. With intent. With relevance. People can tell if you plan is to follow them, wait until they follow back, then unfollow them. And they don’t like it. Follow people you legitimately want to follow. If they’re impressed with your content they’ll follow you back. This is a quick way to find your existing network of colleagues, and start your community of ‘mutuals’ off right. Twitter users who are interested in your areas of expertise may well be interested in following you. Use Twitter’s advanced search function to find folks who are following your competitors, for instance, or who are interested in topics central to your industry. If what you’re saying is relevant or valuable to them. Don’t be desperate or weird. You’re here to build mutually beneficial relationships. You’ve worked hard to create great content that engages people, so nourish those budding relationships. Respond to their questions and feedback. They’ll notice the personal touch and continue to follow you. Even if you haven’t been directly tagged. But please, whatever you do, don’t do this by hand. There are many social media monitoring tools that can help you. This takes some preparation, but if you’re looking to establish authority and credibility in your field, then this is a great way to build community with like-minded folks. There’s a reason it’s called live-tweeting: this is one of those Twitter-specific things that no other platform has been able to replicate. Capitalize on it. Some Twitter users love lists, and some couldn’t care less about them. Even if you don’t feel compelled to sort your feed using this tool, note that Twitter users get a notification if you add them to a public list. Hot tip: make sure your list name is flattering (think: “Smart people” or “Career inspo” not “Unqualified Leads” or “Who does this guy think he is”). 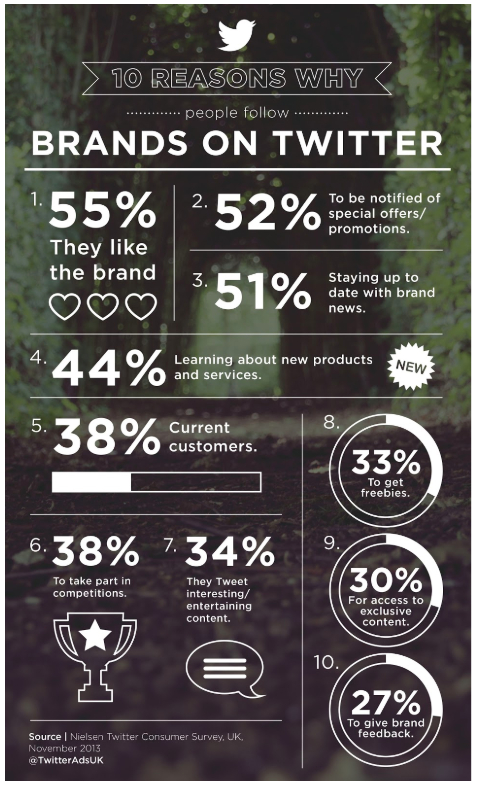 According to Nielsen, the #2 reason people follow brands on Twitter is because they want to know about special offers. Access to freebies, exclusive content, and new products also round out the top 10 list. Depending on the influencer, this may mean allocating some of your budget. But we’re not just talking about Kardashians. Even if you’re a global corporation like Pepsi (will we ever forgive Kendall? ), micro-influencers in your niche may be more effective. For instance, they’re 60 percent more engaging than the big names, according to HelloSociety. Speaking of Pepsi, a crisis management plan is mandatory for any social media team that enjoys sleeping at night. Not all publicity is good publicity. Do your best to never post a text-only tweet. Here are some tools to help you fill up your content calendar with compelling images. If pictures are good, moving pictures are great. 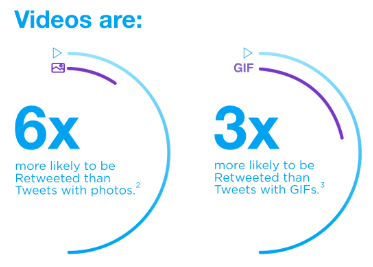 Your content is 10 times more likely to engage your audience if it includes a video. According to our data, that’s around 3 p.m. on weekdays. But your audience is unique, and your analytics (see next tip) can give you precise information. For best results, build room into your weekly schedule to experiment and test. Engagement, reach, impressions: it’s all there. When you know what success looks like for your audience, you can replicate it and raise your own bar. This is where you can nerd out and get granular with your Twitter artistry. Compare results on different wording, calls to action, images, ad formats—you name it, it can be split tested. Researchers at Rutgers found that social media accounts that share information rather than self-promoting have, on average, twice the number of followers. More than any other platform, Twitter is the home of the snarky brand voice. But humour and vitriol go hand in hand, and encouraging engagement with potentially viral joke tweets opens your brand up to a wide swath of reactions. Maybe you’ve taken a couple Second City classes and are willing to ride the wave (or flame war)—in that case, go for it. Otherwise, enjoy our list of things brands do that people hate. Yes, Twitter allows 280 characters now, instead of 140, but brevity is still the soul of wit—and the soul of engagement. For both organic and promoted tweets, 71 to 100 characters earn the most retweets. Do you have an approval process built into your Twitter strategy? Most social media management software allows for an editing stage. An extra set of eyes will save you from minor apostrophe-related humiliations, outdated facts, and broken links. The best way to learn any language is immersion. Using Twitter regularly will give you a better ear for pushy CTAs and weak copy in the ads you’re exposed to, while keeping you up to speed with what’s trending organically. Whether you’re RTing, MTing, or composing it yourself, Twitter is a meritocracy. You can’t fake good content, which makes this the most labour-intensive cog in the whole machine, if not the machine itself.